The School-Based Assessment (PBS) system will be reviewed following complaints by teachers of their difficulty in accessing the central database to key in their daily assessments. Education Minister Tan Sri Muhyiddin Yassin said until then, teachers need not key in the data, which was to have been done daily until April 1. The ministry also needed to find the solution to the system’s database application and server issues. 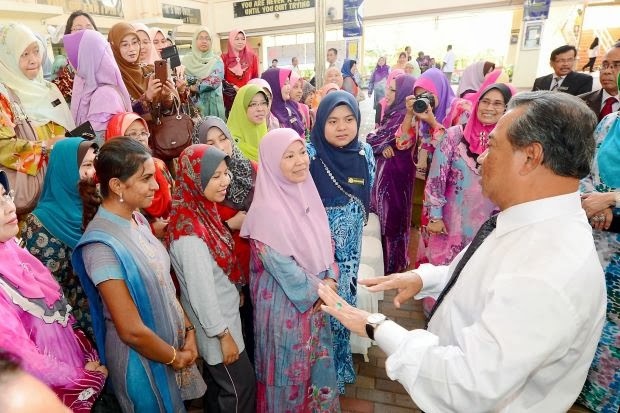 Muhyiddin, who is also Deputy Prime Minister, said teachers had been complaining that the system was always congested. They were forced to key in their assessments from out of schools and at wee hours of the night, he said. The meeting was held to get teachers’ feedback on the system. The PBS was introduced in primary schools, starting with Year One pupils in 2011, and in secondary schools, with Form One students, the following year. Under the system, teachers must carry out daily assessments throughout the teaching periods and key in the data into the system’s database. “We want to find ways on how this system can be fully implemented efficiently and achieve the objective of improving the education system,” Muhyiddin said. “Parents have responded positively while the teachers said if this is the (education) system (for the country), a flawless infrastructure is needed.” - theStar. So what do teachers really need to see of PBS in future?